As our climate continues to change and populations across the globe expand, food production must evolve in order to keep pace with these unprecedented changes. 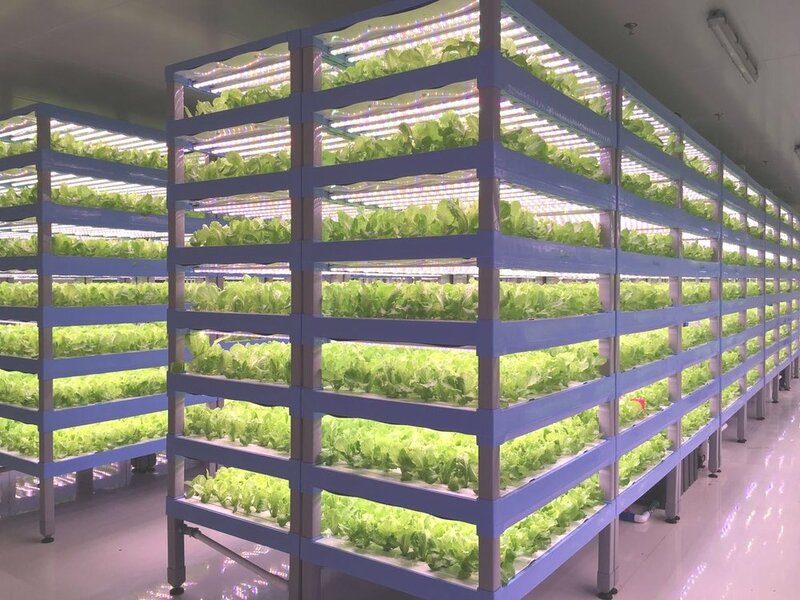 Enter THE RADIX, Sananbio’s cutting-edge vertical farming technology developed to empower the modern farmer and spur sustainable local food production. The RADIX vertical farming grow module is a fully-integrated system that comes equipped with built-in patented Sananbio VegMax LED lights, is a hybrid NFT & DWC system with integrated gravity-driven water circulation, and can be converted between constant flow and Ebb & Flow. The modular and intelligent design of the RADIX grow module gives modern farmers a simple solution to a complex problem. Built out of high-density food grade polypropylene, scalable up to 8 layers, and customizable light to bed height to optimize plant growth at all life stages, the RADIX gives farmers and researchers alike the flexibility to adjust cultivars based off of market demand or research parameters. Built-in patented LED lights with optimized spectrum’s to support plant growth at all life stages. Flexible. Consistent. Productive. The RADIX grow module has the ability to grow crop varieties ranging from whole head lettuce, leafy greens, culinary herbs, and micro-greens. The dynamic ability of the RADIX gives farmers the flexibility to quickly adjust to changing market conditions and consumer tastes. Built to support the growth of local food infrastructure along with sustainable, clean, and safe year-round food production, the RADIX is empowering modern farmers to disrupt the status quo built around industrial food production. Sananbio currently has over 700,000 sq. ft of indoor vertical farming production using the RADIX grow technology. Whether you are looking to build a 5,000 sq. ft indoor vertical farm or a 100,000 sq. ft indoor vertical farm, SannaBio has the experience and capacity to deliver upon your needs. 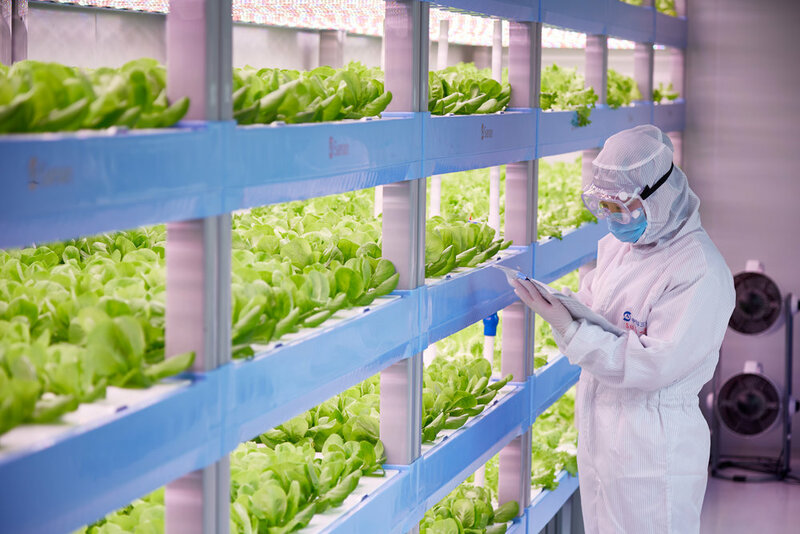 As indoor vertical farming continues to expand and the demand for local food increases, the need for qualified and capable talent to run and manage these farms will be a critical link in their success. By introducing the RADIX into the educational setting, students are given first hand experience working with cutting-edge vertical farming technology and are getting exposure to sustainable, safe, and clean local food production. 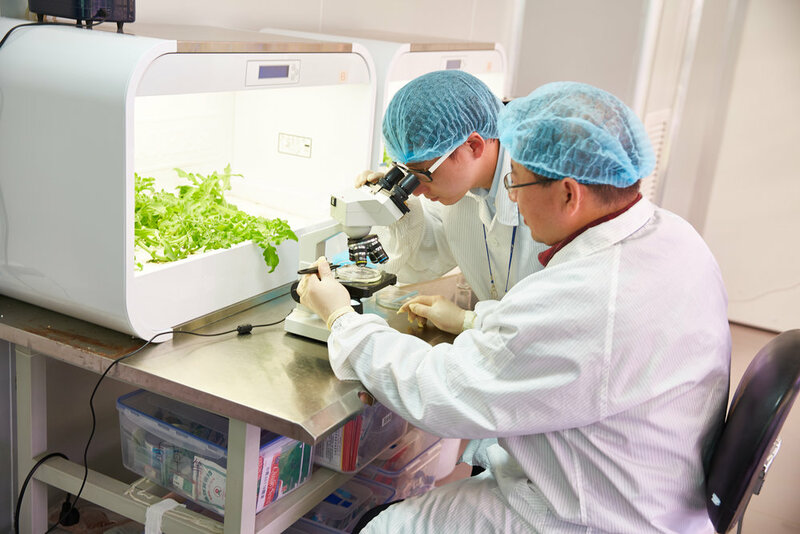 The backbone of the vertical farming industry will be based in science and rooted in research. Identifying the environmental factors, specific cultivars, optimized light spectrum’s and standard operating procedures of leading and managing a thriving indoor vertical farm is a a critical piece in our holistic approach to vertical farming. We are committed to working with the world’s leading research institutions to push the boundaries of indoor vertical farming forward.